Emhart Glass has launched the FlexRadar Forming Process Analyzer. Emhart said it was a standalone system for identifying quality issues in real time, delivering higher pack rates and improved flexibility. FlexRadar uses high-resolution infrared technology to spot deviations and quality issues in the glass-forming process as they occur. It monitors container geometry, glass distribution and conveyor position, identifying containers that fall outside standard quality criteria. Issues identified by FlexRadar include uneven cooling, uneven/wedge bottom, choke neck, lean, stuck ware and down ware. By providing feedback on the forming process, FlexRadar allows glassmakers to receive early warnings about quality issues – and uncover previously unseen improvements. The system comprises two SWIR (Short Wavelength Infrared) imagers, an Interactive Operator Interface with 19” color LCD touchscreen, an air-reject assembly and an Intelligent Control Unit, which supplies power and signals for the SWIR imagers and the Interactive Operator Interface. 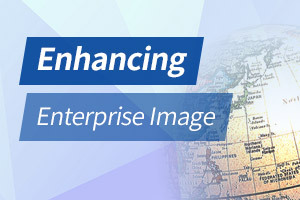 The SWIR imagers acquire images of each passing container, which are displayed live on the overview screen of the Interactive Operator Inferface. Icons are used to visually highlight problem areas and reject information beside each container image. Line speed and pack rate per cavity are also displayed.